Why have a play-based classroom? 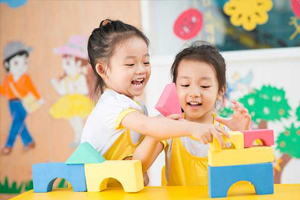 A play-based classroom is an effective environment for children to reach their fullest potential in all five domains: social, emotional, creative, physical, and cognitive. Play is children’s work. A play-based environment keeps children engaged and creates a desire for learning. A love of learning advances all domains through acceptance, affirmation, and exploration through a play-based environment.